He went on to dig out the story–once again, to talk with her brother Adrian Dekker, to talk with the police (Sgt. John Robinson [retired] and Sgt. Chris Postma), and to go through the file. 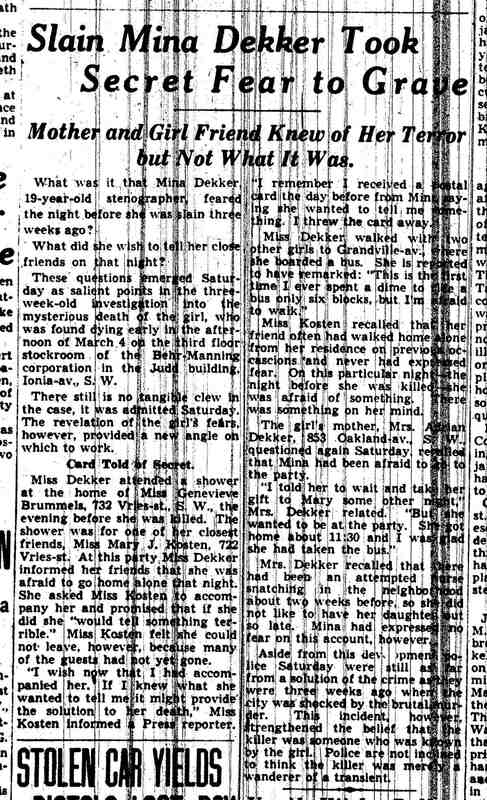 His resulting story was remarkably detailed and employed copy from newspapers of an earlier day. 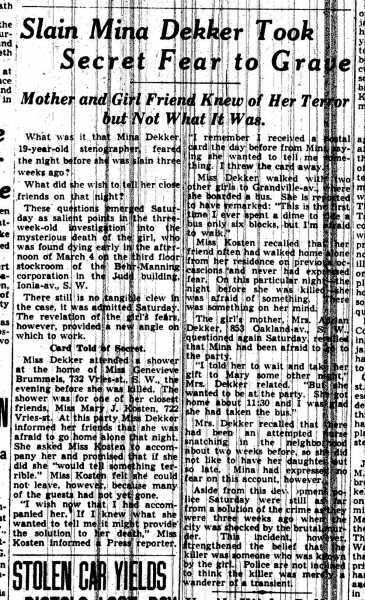 Press coverage at the time of Mina Dekker’s murder bordered on the sensational. The two big-city papers, the Herald and the Grand Rapids Press were slugging it out for top headlines. Still, there were some substantial differenced. The Herald was less hesitant to name names when it came to suspects and more more aggressive in its search on the story. Either that, or its reporters had better connections on the police force. 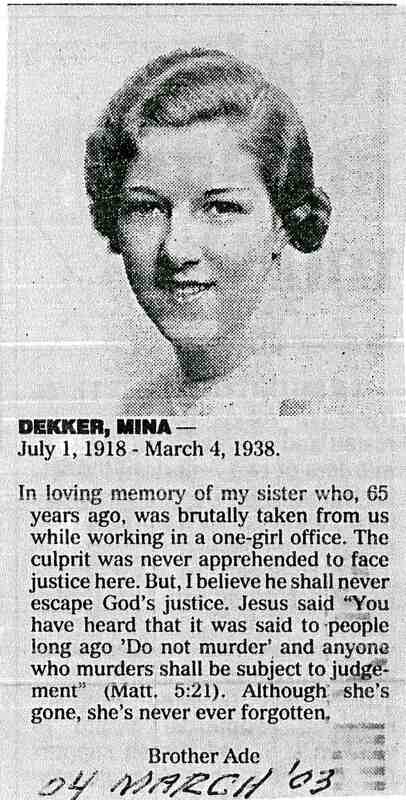 She KNEW she was in danger. And she KNEW who presented that danger. Knowledge wasn’t enough. Oh, and Ken is now reporting for WOOD TV, Channel 8 in Grand Rapids. He has crossed the great divide between print and television. Actually, the divide grows less and less by the day. And a reporter is a reporter. His prodigious skills will stand him in good stead and we’ll benefit from it.